We all want the best for our children. Following are six ways to help you raise a healthy, optimistic child — all backed by the latest research. As a parent, you want the very best for your child. And that means doing your part to help ensure that he or she is healthy and happy. Now, science has your back. Following are six ways to help you raise a healthy, optimistic child — all backed by the latest research. Experts increasingly understand the power of animals to make us feel better. That is why animal-assisted therapy is becoming more common. Case in point: Denver International Airport recently introduced its new Canine Assisted Therapy Squad (CATS) to help alleviate passengers’ pre-flight anxiety. 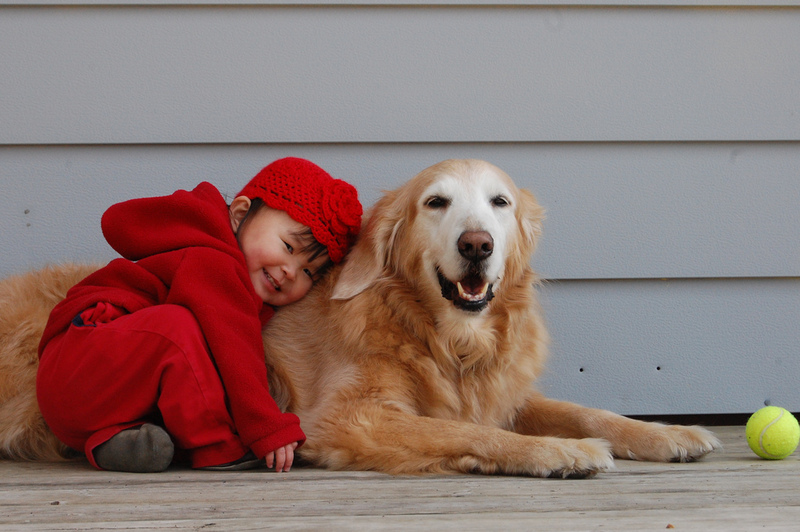 Pets can work magic in a child’s life, too. Research published last month by the U.S. Centers for Disease Control and Prevention suggests that pet dogs can calm your children’s nerves. Having a pet can also help lower their asthma risk, according to a separate study of more than a million children in Sweden published last month in the Journal of the American Medical Association Pediatrics. It found that children who were exposed to pets and farm animals during the child’s first year of life were less likely to have childhood asthma at age 6. Dog exposure during the first year of life was associated with a 13 percent decreased risk of asthma in school-age children. Farm animal exposure was associated with a 52 percent reduced risk of asthma in school-aged children and 31 percent reduced risk in preschool-age children respectively.